Workshops are on hold. Please read more here. Did you know it takes over 60 hours to create a single mug? 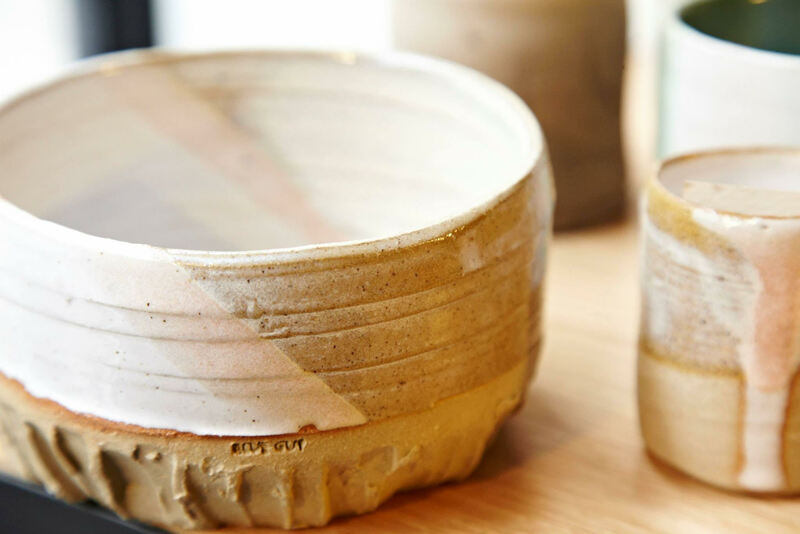 Thidaa, founder of Blue Guy, will discuss the natural qualities and serendipity of this beautiful craft through her Adult Evening and Weekend Pottery Classes at her East London Studio. 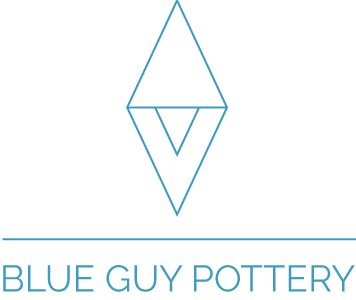 These pottery classes are for all levels and you will have a chance to try and/or improve your techniques of ceramics. Blue Guy has a cosy studio by Broadway Market in East London E8. All materials are included in the price. 5 - Glaze fire in the kiln for up to 40 hours. 1 - Taster class (perfect for date night!) to try out the wheel or glazing. 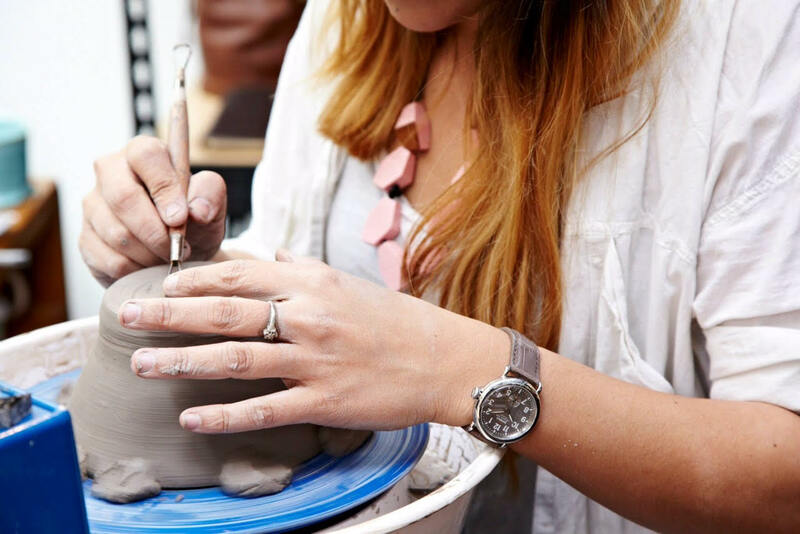 2 - Full Beginner Course Package where you will learn all the steps of pottery and leave with finished pieces. More details of each workshop below! ** I have received a lot of emails about classes which I will aim to respond within 2 weeks. Please go to my FAQS sections before emailing me about available dates! By booking online, you agree to our terms and conditions which can be read here. Friday evenings, Saturdays and Sundays only. This is best for anyone who wants to have a go on a Potter’s wheel or glaze some pre-made pieces. This is a class for 1.5 intensive hours- great for beginners or date night! I’ll show you the studio, introduce you to the materials and the process. 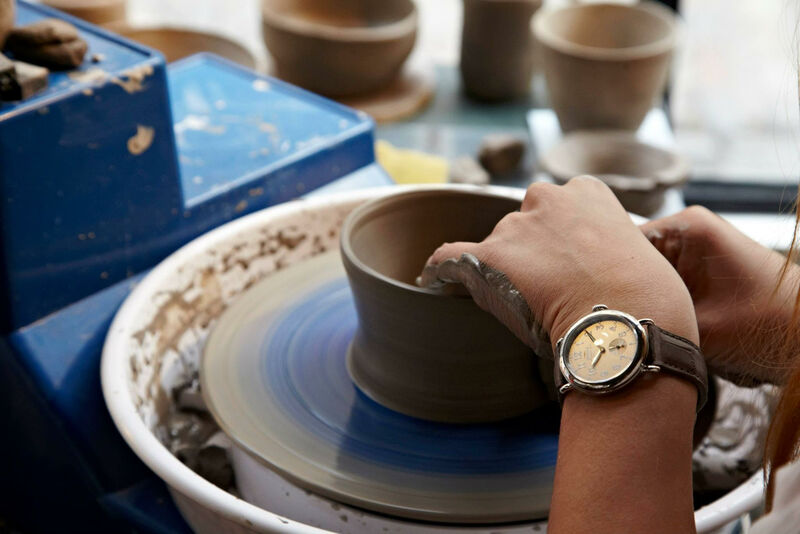 The Saturday or Sunday workshop is the Wheel Intensive where you will learn about the clay and throwing on the wheel. This class is completely private and a maximum of 2 per class. This is definitely messy so bring a change of cloths or an apron! The Friday Evening, Saturday or Sunday Glaze Intensive will consist of pre-made pieces which we will glaze together. You will learn about glaze itself, techniques of how to apply glaze and colour combinations. This workshop is very relaxing and cleaner than the Wheel Intensive! After this workshop you can pick up the finished pot at an agreed later date (approximately 4-6 weeks). If you would like it shipped there is a small fee. This is Saturdays and Sundays only. 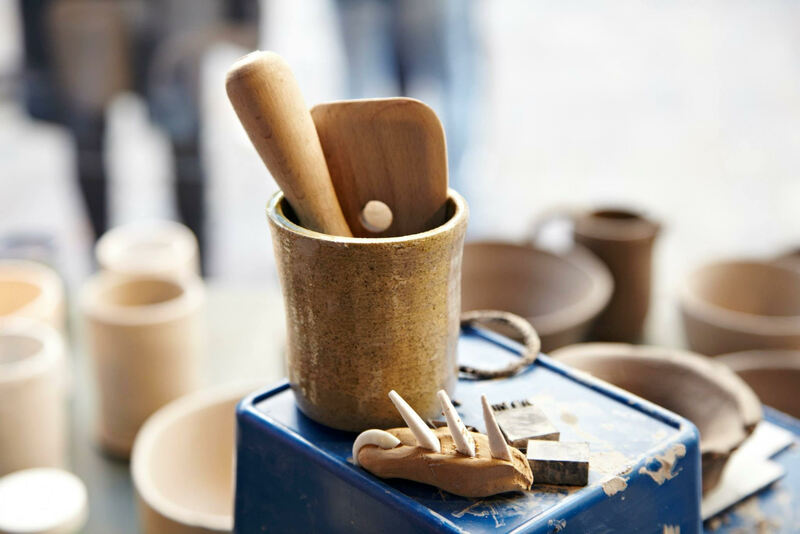 This is a full course to learn the three main creation steps of Ceramics: Throwing on the wheel, turning on the wheel and glazing. Day 1 - Saturday start 11am - The first day is the Saturday Throwing workshop with short lunch break. Great chance to explore Broadway Market! 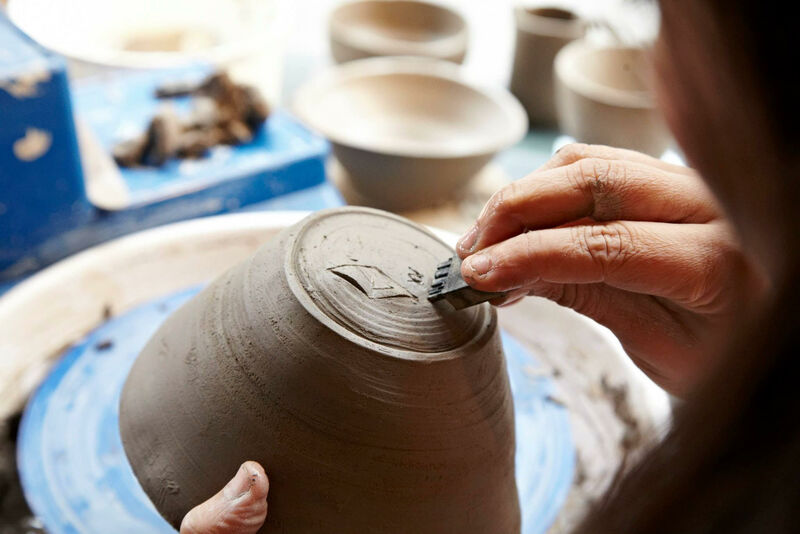 During the morning session you will learn about the overall process, clay and throwing on the wheel. The afternoon session you will create your first forms. Pottery on the wheel is surprisingly tiring so please rest up before you arrive and bring an apron or change of clothes because it’s going to be messy! Day 2 - Sunday 11am-12:30pm or 2pm-3:30pm - The second day you will learn the next step of Turning where you use the wheel on pieces you made the day before. You will also stamp your piece and let it dry before it goes in the kiln. Day 3 - Friday 7:15pm-9pm or Saturday 11am-1pm - The last class will be a relaxing glazing class to learn about colours and glazing techniques. Pick up Day - Approximately 4-6 weeks after your glazing class your pots will be ready for pick up. We can arrange shipment if required for a small fee. Everything is included : all materials and kiln time included in the cost up to 4 medium pieces (or 6 small pieces). However depending on how quickly you pick up, you can make up to 8 pieces.